Model A0000000-BF4 is a Semi-Recessed sensor operated bottle filler. Bottle Filler can be mounted in a 4” or larger wall space for simple installation virtually anywhere. Housing has a slim and trim look that blends into your environment. Unit also has a strong, ligature resistant, and vandal-resistant design for years of trouble-free service. When installed properly, the bottle filler complies with ADA forward and side reach requirements. Bottle filler is fabricated of type 304 stainless steel polished to a satin finish. 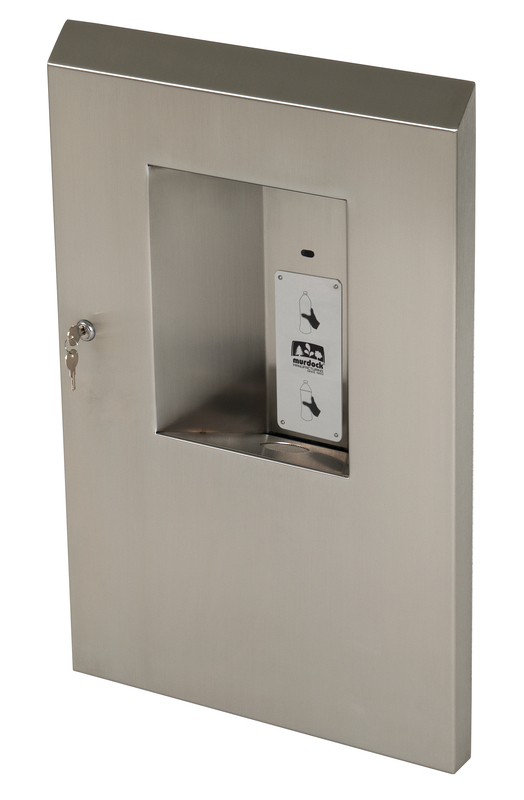 Bottle filler is fabricated of type 304 stainless steel polished to a satin finish. Unit is certified to ANSI A117.1, Public Law 111-380 (NO-LEAD), CHSC 116875 and NSF/ANSI 61, Section 9.